Macau based Fashion designer Bárbara Barreto Ian discusses her CocoBerry Eight beachwear collection and why her vision continues to resonate with a wide audience. 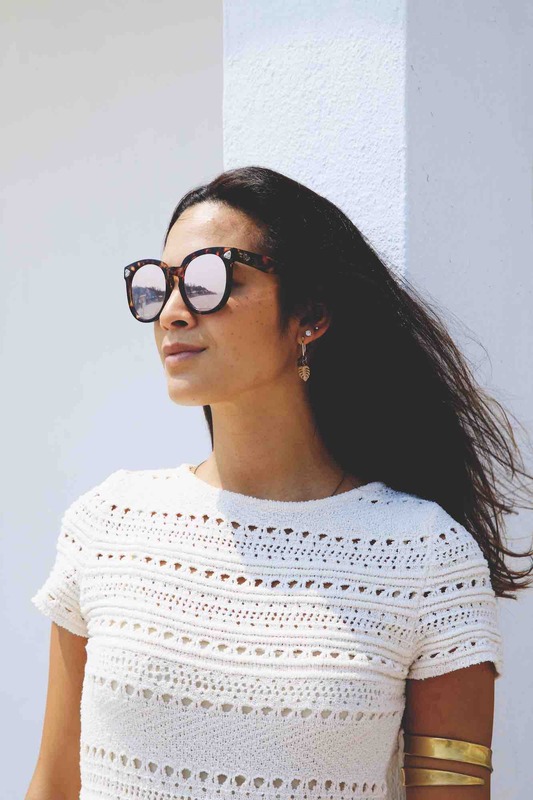 Summer has always been about bare skin and bold and vibrant colors, but Bárbara Barreto Ian prefers to play with the soft tones of pastels in the hope of bringing the Portuguese love for beach culture to Macau. This bohemian vibe is reflected in her white crochet dress and lack of any footwear when we meet. “I started this because I didn’t see other bikini designers here in Macau, unlike in Portugal. We aren’t really exposed here to the beach lifestyle.” Bárbara explains. Born and raised in Macau to parents of born in Mozambican, Bárbara has always been creative. Right from childhood she knew she wanted to be a fashion designer, even though her father warned how tough the industry could be. “During my primary school years I made accessories for my friends, but my Dad was always worried I wasn’t earning as much as I was spending to do it,” she laughs. Bárbara is a citizen of the world. As a young adult she left Macau for Portugal and then Barbados to continue her studies in fashion while also earning a degree in journalism. With a foundation in arts and design from Kingston College in London, she went to London College of Fashion at the University of the Arts London. And so, seven years ago, Bárbara started her fashion brand CocoBerry Eight, originally as a full clothing brand for women before gradually evolving to beach and resort wear, including cover ups and bikinis. “I started Cocoberry Eight around 2011, when I had my daughter, but found that Chinese consumers like big brands and small designers aren’t invested. It wasn’t sustainable as a business. Financially, I couldn’t sustain it as it was,” she recalls. Despite having already developed her own style and identity, there is still a need to capitalize on what’s “in” at the moment given that trends are what make the fashion industry tick. It therefore helps that the mother of two also teaches at her small studio on weekends and just happens to be an in-demand stylist to the stars in her spare time. “I will soon launch a new collection of underwear patterns so people can just purchase them online and make DIY projects at home.” Bárbara adds. To seek unique ways to incorporate trends into one’s personal style without plateauing is always a challenge. Yet Bárbara, armed with knowledge, confidence and tattoos that represent a time in her life, is more than just a fashion designer. And so, she rides the tides to see which way the waves take her.